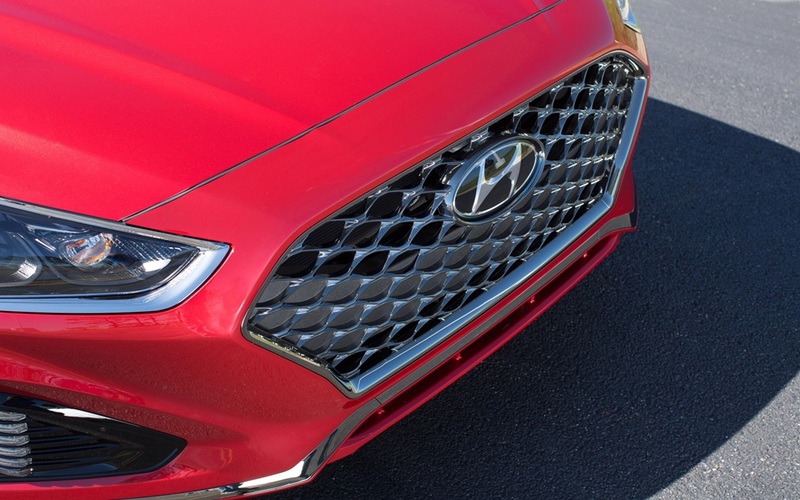 Even if the 2018 Hyundai Sonata received some important updates last year – the model coming with a more premium design and better quality materials and technology package at the interior – the South Korean based carmaker has also added a couple of new editions, which make it more attractive and appealing to its customers. We are dealing here at some new editions, each one coming with some new goodies both at the exterior as well as inside; there is also the new suit of advanced safety systems available on all variants. The 2018 Hyundai Sonata+ comes with standard features like sport front fascia and mesh grille, along with panoramic sunroof and the aforementioned Advanced Driver Assist Systems. The SEL+ and Sport+ trims add dual automatic temperature control, heated steering wheels, auto windows or Qi wireless phone charging. However, in case you want more amenities, then you can also have the Sport+ with Tech Package, which costs $25,400. This one adds Automatic Emergency Braking, Smart Cruise Control with start/stop, Lane Keeping Assist, as well as Electronic Parking Brake with auto vehicle hold. Hyundai has also released the Sonata Limited with Ultimate Package+ available at $26,433 and featuring sport mesh grille and front fascia or panoramic sunroof. On the other hand, the 2018 Hyundai Sonata+ Limited with Tech Package is even more expensive ($27,400) and extends the number of new features – Automatic Emergency Braking, Lane Keeping Assist, Smart Cruise Control with start/stop, Electronic Parking Brake with auto vehicle hold, Sport mesh grille and front fascia, Qi wireless phone charging, and Heated steering wheel. Under the hood, all variants come with the same powertrain as the 2017MY. This means a plug-in system with a 2.0-liter Nu four-cylinder GDI engine paired to a 50 kW Transmission-Mounted Electrica Device, aka (TMED), and coupled to a 9.8 kWh lithium-ion polymer battery pack. The total amount of juice stands at 202 horsepower, being sent to the wheels via a six-speed automatic transmission. The new 2018 Sonata on all its forms comes more or less with a 99 MPGe in EV model and 39 MPG in Hybrid mode.